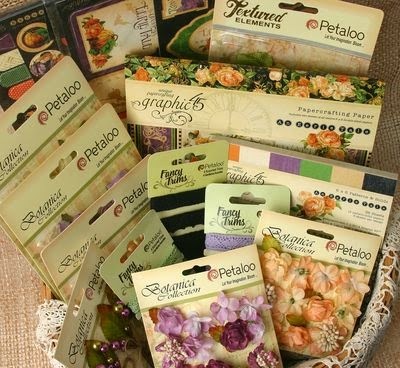 Annette's Creative Journey: Petaloo & Graphic 45 Blog Hop starts today! After a much-needed break, I'm back to blogging. I've been devoting all my energies to MANY new upcoming projects I'll soon be able to share with you, so I thank you for your patience. Enjoy this fun week of awesome inspiration and creativity! You will not be disappointed. Oh, and since you were kind enough to visit me today, leave me a comment on today's project and I'll host my very own give-away of a variety of Graphic 45 goodies and a few additional surprises. All commenters will be entered to win by random draw. I'll announce the winner this Wednesday on my blog so be sure to come back to see if you were the lucky winner. I love this Annette! What a great idea and I'm excited for the chance to win some goodies too. Wow! Thanks for the opportunity and the gorgeous inspiration!!! Oh, you are so creative as usual. Loved the cake. What fun! OMGoodness your cake is gorgeous.. I would love to make one of these. Your cake is FABULOUS!!!! I love it. Make me want to stop in for a bite!! 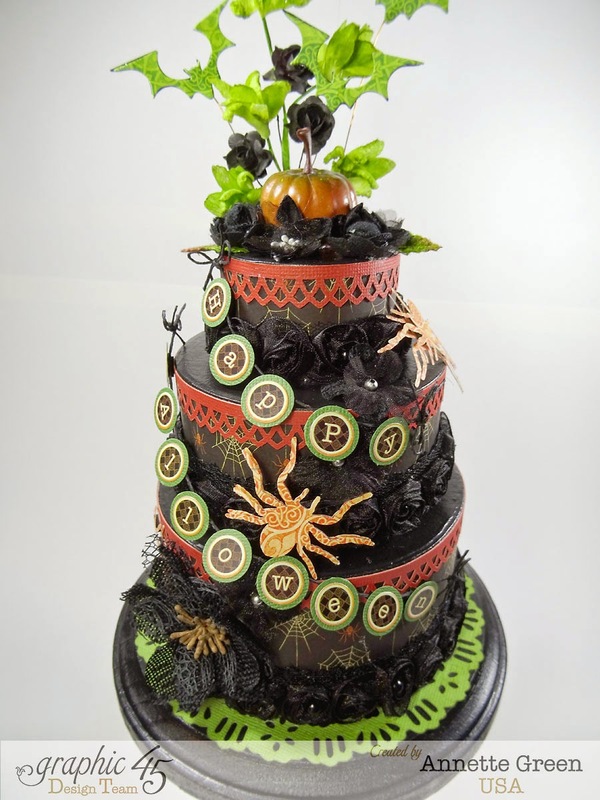 Love the Halloween "cake"! Awesome use of the Eerie papers. Thanks for sharing! A great idea for a Halloween party centre piece and a fantastic creation as ever Annette! I like it! You are so creative-Thank goodness it's OK to copy and re-create! Hope your day isn't eerie! All your projects are wonderful! Thanks, Annette - you are an inspiration! Mmmm, my favorite cake flavor...black velvet with spider icing. Yum! What a beautiful and fun creation! WhooHooo..how yummy spooky! Would love to create this for my front foyer when the trick or treaters come! 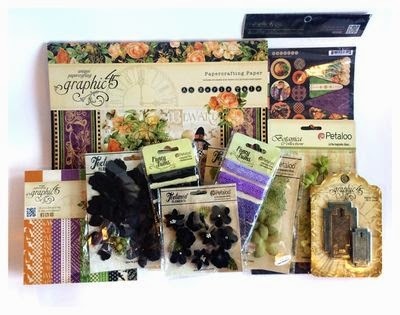 thanks for the ideas and oh how it would be great to win these wonderful supplies! WOW.....this is amazing but then again so is everything you make. Love the cake. I might need to recreate this cake for my mom's birthday which is 9/11. I love what you do with paper. Love the new Petaloo burlap flowers.Thanks for the chance to win. Cake looks great! The start of a great new season! I LOVE Halloween!!! This takes the cake. LOL Totally cool. Such a cool project! Thanks for sharing with us!!! I love it!!! So much talent!! Wow, your newest project really takes the cake! How fun is that? That's so Spooktacular!!! So many creative people in the art crafting world! I am very impressed with your work and the inspiration it gives me. I just discovered Graphic 45 papers and embellishments recently. It is so beautiful and easy to work with. I think I will prefer using those products in the future.